1. Bring the BBQ sauce together with the peanut butter to the boil in a small sauce pan on low heat. Keep stirring constantly until the sauce begins to thicken. 2. Cut the chicken into large dice and marinate with salt, black pepper and the BBQ peanut butter sauce. Place in a spacious (well-closing) container in the refrigerator for at least 2 hours. 3. 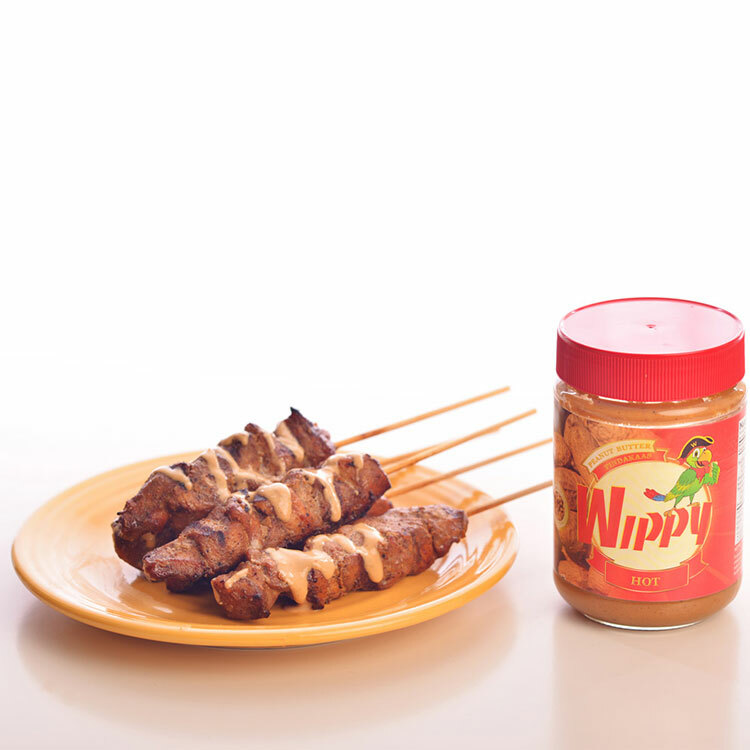 Thread the chicken cubes onto the satay skewers and place them on the grill or BBQ for about 20 minutes or until tender. 4. Serve warm. Enjoy your meal!